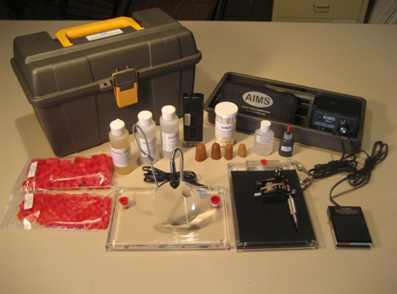 AIMS small/large bore calibrated needle tube. Select large animal tattoo needles. Small equipment profile (quick setup/pickup). 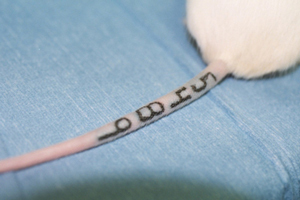 Reduced animal stress (quick tattooing). 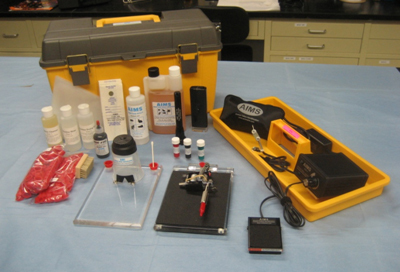 Easy cleaning & sterilization between animals. 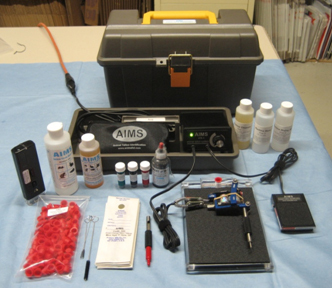 Detailed operating and tattooing instructions. Unlimited technical support from AIMS.